Adrie was born in Velddrif and matriculated at Vredendal High. He completed his BA. LLB. Degree at the University of Stellenbosch. He joined the Department of Justice as a prosecutor and was later employed by the State Attorney’s Office in Pretoria and Cape Town. 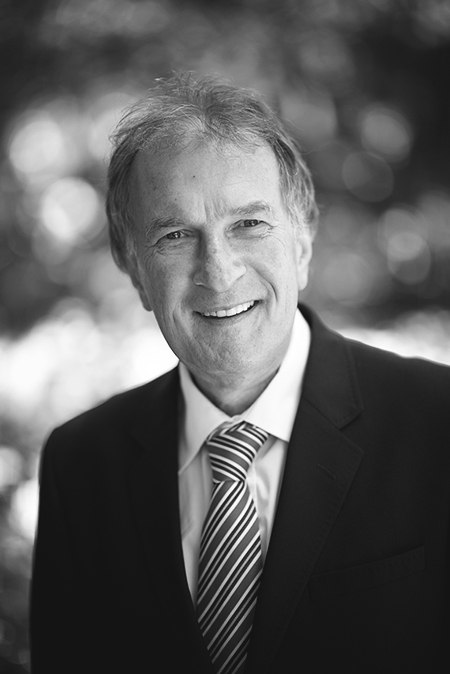 Adrie was admitted as an attorney in 1983, and he joined De Klerk & Van Gend as a professional assistant in 1989. He became a director in 1991, and was appointed as Chairman of the firm in 2000. Adrie specialises in commercial law, sports law, labour law, high court litigation and pension law. He has been involved in commercial negotiations for sport codes, including SA Rugby – with sponsors, suppliers, television companies and players, providing advice and attending to litigation for pension funds and High Court litigation in general. He has completed post graduate diplomas in labour law at the Business School (University of Stellenbosch) and Constitutional Litigation at UNISA. Adrie has completed various marathons and ultra marathons including Two Oceans and Comrades. Employment Law: Employers – When Should You Sue Rogue Employees? Employment Law: When is dismissal fair for a fake CV? Employment Law: What happens when depressed and dismissed? Employment Law: Am I still protected without an employment contract?